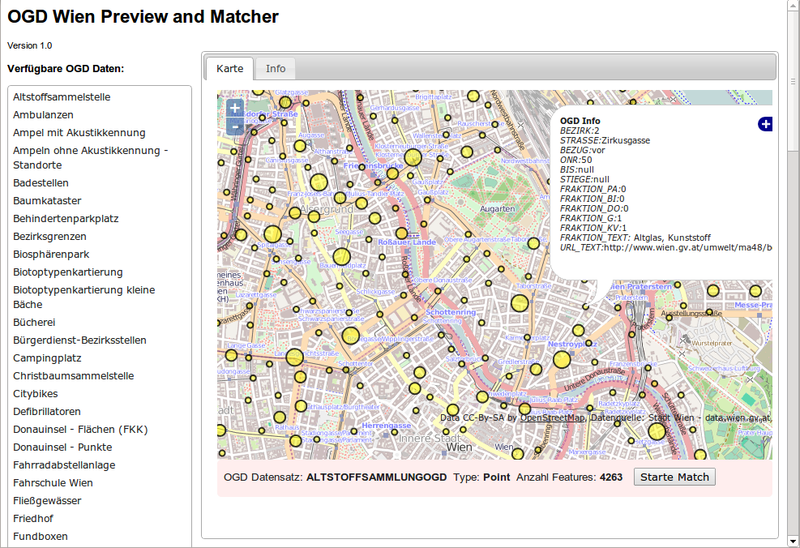 Nearly 2 years ago the OpenGovernment cadastre of trees of the city of Vienna was imported into OpenStreetMap. 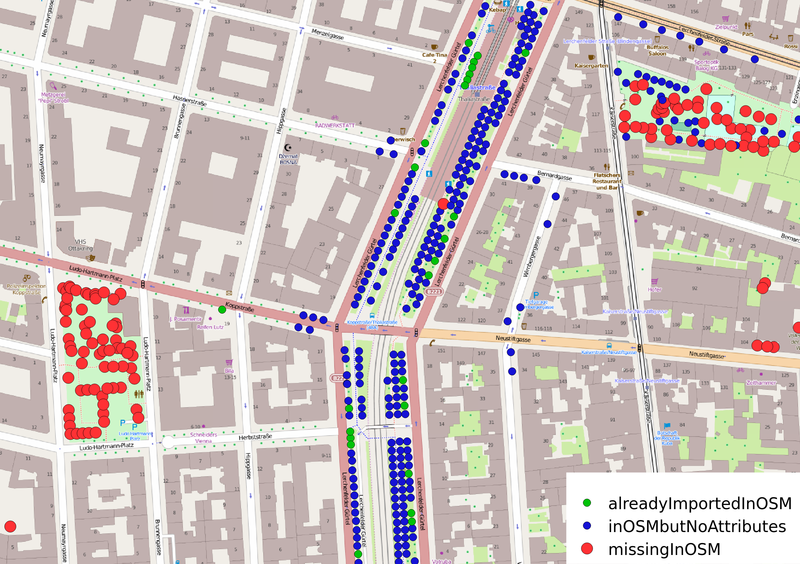 All trees existing in OSM were not imported to not damage already mapped data. The thing still missing is to check which trees are already mapped and did not originate from the original import. 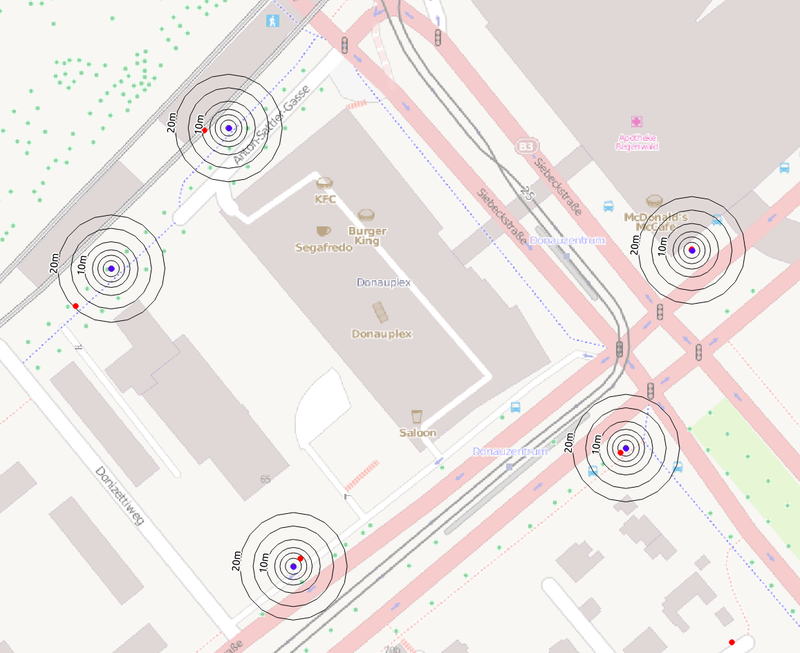 This post is a short update on my way to a script to automatically align the not yet entered OGD trees with already mapped OSM trees. 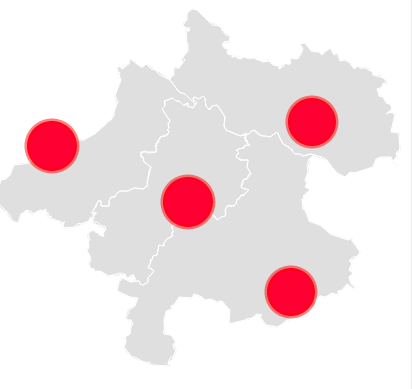 So far, I wrote a python script that checks for existing entries by location. Thanks to spatial indexing and the very easy to use rtree library, this check can be done within about one minute but I’m not yet convinced by its results. The image below shows an excerp of the results of this analysis. 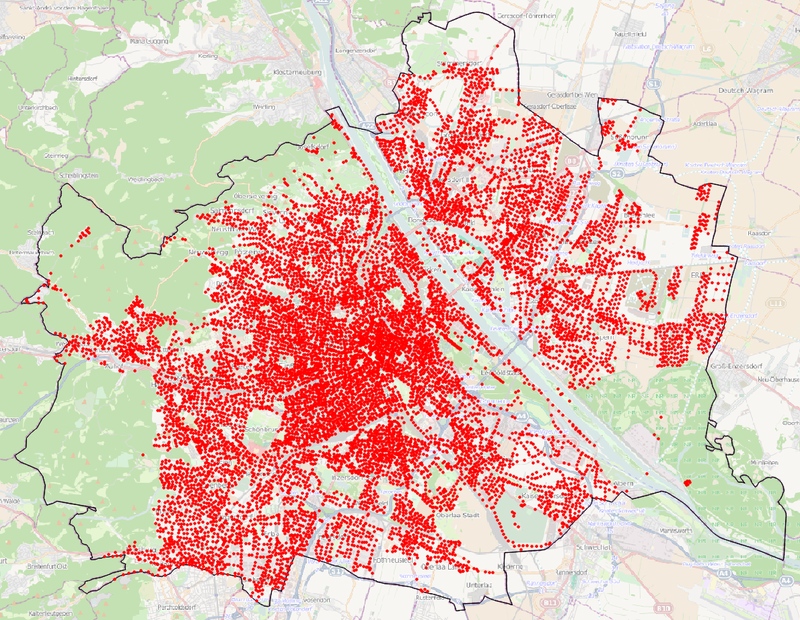 One thing that can be seen is that the city of Vienna added some more small parks to the dataset. As stated above, don’t take this image too seriously, it displays just preliminary results. I’m currentrly thinking about re-implementing the script directly within the great QGIS Processing toolbox. This would make geographic debugging a lot easier since one can use the QGIS map window for outputting results while processing data.